A number of challenges and opportunities face the borough now and in the years to come. The Issues and Options Paper was the first opportunity to influence how we will address them. A Sustainability Appraisal (SA) was required to identify the likely environmental, economic and social impacts of the Local Plan. 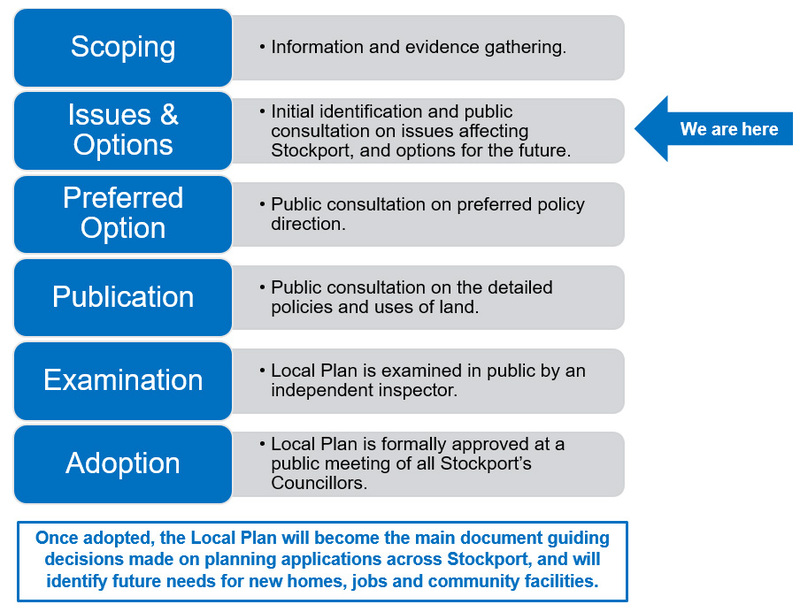 The aim of the appraisal was to ensure the Local Plan delivers development that meets the current needs of Stockport without impacting on the needs of future generations. A number of Local Plan events were also hosted across the borough and comments from these events are currently being written up and will be available soon. Please visit the Consultation Hub to see what comments were made against the documents.